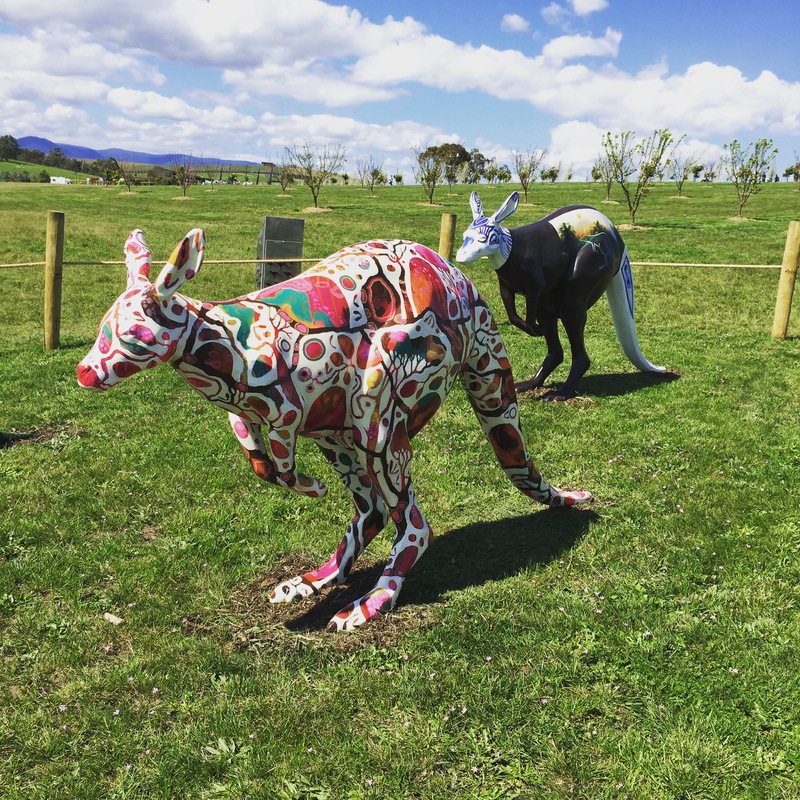 Over the weekend, Ross, TK and I headed up to Yarra Valley Chocolatarie to check out the ‘Hop for Hope‘ exhibition. 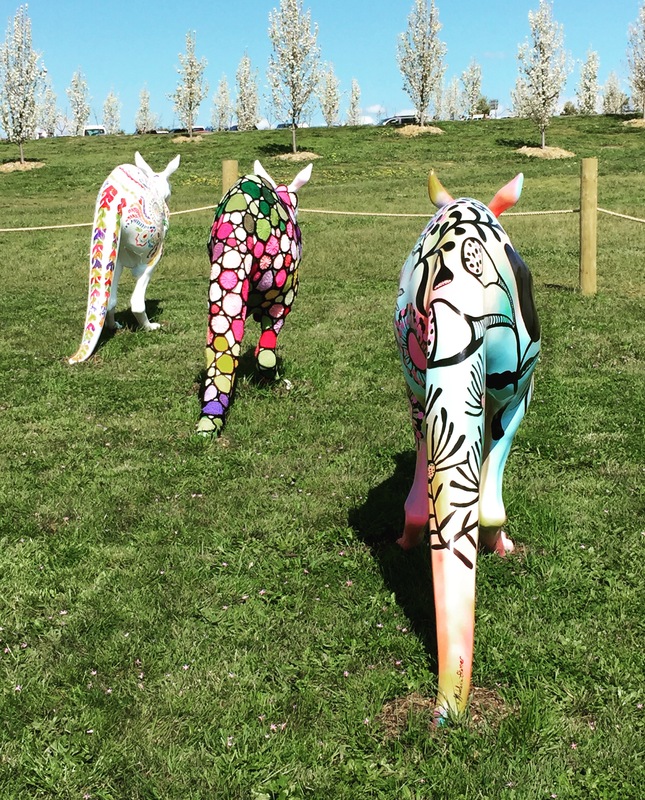 The Alannah and Madeline Foundation and Yarra Valley Chocolaterie & Ice Creamery are uniting to present ‘Hop for Hope’ – a collaborative art exhibition raising funds to keep children safe from violence and bullying. 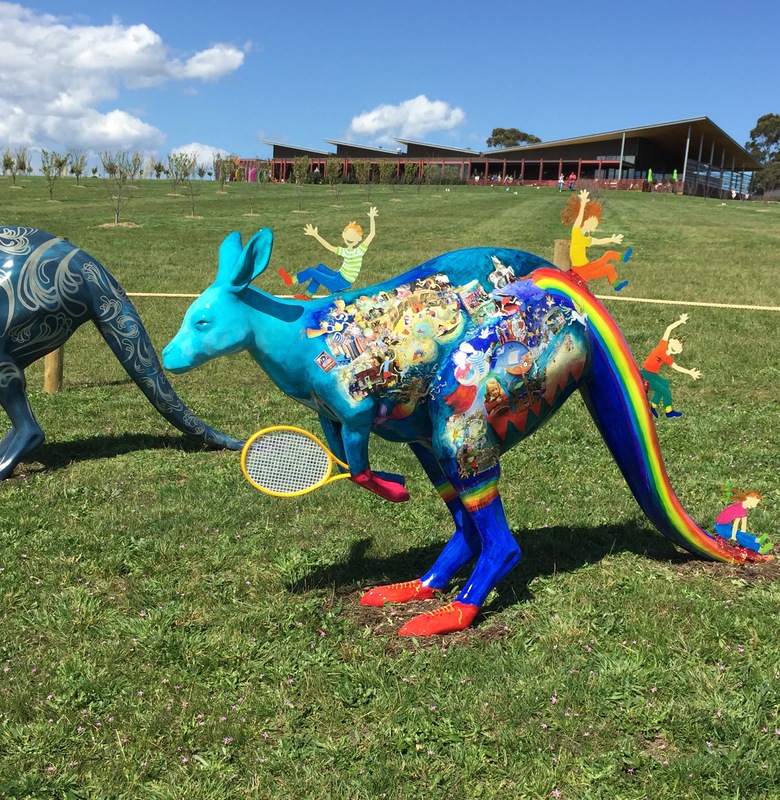 Nestled amongst the picturesque views of the Yarra Valley, the ‘Hop for Hope’ exhibition will showcase 40 larger than life-size kangaroos decorated and designed by iconic Australian artists and identities. It was the perfect day for walking around the exhibition, taking photos and (of course) eating ice-cream. We had planned on having lunch there, but the cafe was absolutely packed, so we headed over to Healesville for lunch instead. Jill by Elise Martinson at the front. and Michael Leunig’s Roo in the background.